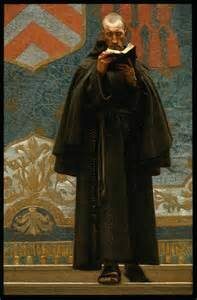 Any history lover, or lover of Dumas’ adventure stories, knows of the original eminence gris Francois Leclerc du Tremblay, the Capuchin right hand man of Cardinal Richelieu, called ‘Father Joseph’ in the Dumas novels. More recently the epithet has been applied, at various times, to Peter Mandleson and John Macdonall (who are, despite all the carping, real politicians) and Frank Underwood and Malcolm Tucker, who are not. 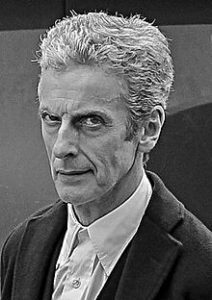 (Peter Capaldi will keep cropping up, however, having played both Cardinal Richelieu and Malcolm Tucker on the BBC, before he left the dark side and became Doctor Who.) The character of the back-room, conniving councillor manipulating his or her way to power and influence through someone else ( in modern times, someone elected ) is alive and kicking. That’s not surprising, though the rise, in UK politics, of the SPAD or ‘Special Political Advisor’ to Ministers, is a relatively new phenomenon. There have always been academics or specialist experts who have advised government ( those whom the British people have, supposedly, had enough of ), but it was Margaret Thatcher who really imported the idea from the U.S.. This despite the Civil Service playing a very different role in the UK and, historically, new administrations did not bring with them a whole political staff and set of appointees. This seemed to reach its apogee with the Blair administrations, though it was in the Cameron Coalition administration that ‘chums’ abounded (one Cabinet Office SPAD had, it was rumoured, got her appointment because she owned the house next door to George Osbourne’s country retreat). 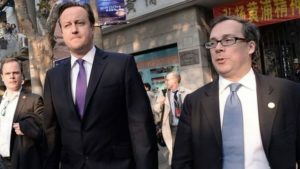 It was profitable for the SPADs and the patronage seems to have continued with the appointment recently of Ed Llewellyn, David Cameron’s Chief of Staff, as Ambassador to France, formerly a Foreign Office diplomatic appointment. As of 2010, there were 68 SPADs. In 2006-07 the cost to the tax payer was almost £6m per annum. Whatever one thinks about SPADs and the creeping politicisation of appointments, at least the SPADs are known. Yet there are plenty today who reach for power and influence but remain, relatively, unknown. George Monbiot’s recent article discusses the U.S. mega-rich who have been pouring money into ‘Alt-right’¹ think tanks and lobby groups since the 1980s. There are a number of web-sites which seek to report on who funds what, like the excellent Transparify,² which rates the extent to which think tanks publicly disclose where their funding comes from and publishes freely available reports on findings. In the UK think tanks are, in fact, becoming more transparent, but, in 2016 three still score a zero on the transparency index ( no relevant or up-to-date information ). These are the Centre for Policy Studies, the Institute of Economic Affairs and Policy Exchange. The Adam Smith Institute gets a one star ( some donors listed, but not exhaustive or systematic ). Take a look at the June 2016 Report if you’re interested to see how the UK stack up against the rest of the world. These bodies crop up regularly in the media, as experts. Some cursory internet research yielded the following information, showing that ‘he who pays the piper calls the tune’. The Institute of Economic Affairs or iea, was founded in 1955 to promote free market economics by businessman Alan Fisher. It has a neo-liberal corporate-supporting agenda and is known to have received substantial funds from Big Tobacco while attacking the World Health Authority’s anti-smoking stance. It is one of the industry’s ‘preferred’ think tanks³. The Centre for Policy Studies was founded by Margaret Thatcher and Keith Joseph, as a free-market right-wing think tank. Bath University’s Tobacco Tactics web-site lists links with Big Tobacco, including funding, while CPS luminaries have been lobbying government and arguing in the press for less regulation of cigarettes. N.B. The web-site is an interesting read in itself. Policy Exchange was set up in 2002 by a group including Michael Gove ( he who advises that the British have ‘had enough of experts’ ) and Francis Maude. Until recently Charles Moore, Editor of the Telegraph was its Chair. The BBC, the Guardian, The Independent and The Times newspapers have questioned the methodology and honesty of PE’s reporting. Its events last week include, ‘Parliament and the Prerogative; From the Case of Proclamations to Miller’ by Professor Timothy Endicott, as part of its Judicial Power Project. Needless to say, this project argues that the judiciary and Parliament do not have the right to interfere in executive power. 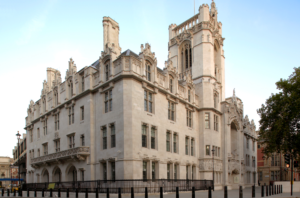 The Supreme Court hearing of the government’s appeal against the Miller verdict ( that the executive does not have the right to conduct EU exit negotiations without recourse to Parliament ) began last week. Grey eminences indeed. But paid for, and we don’t know who is paying them. ¹News at the weekend that at least one news agency, Associated Press, is re-thinking its use of this term. ²Transparify itself is a U.S. based, not for profit organisation funded by Open Society Foundations, which was set up by George Soros. ³As described in documents from Philip Morris and BAT. This entry was posted in Political comment, Publications and tagged Political comment by juliej. Bookmark the permalink.